HR EXPO Africa Organises Third Sector Conference 2018 - Reformation, Positive Orientation and Actionable Strategies! inaugural edition of Third Sector Conference on 29 November at the Admiralty Conference Center, Victoria Island, Lagos. Third Sector Conference is set to mark a tectonic shift in the third sector landscape by fulfilling a particularly pressing need to use volunteering as a development modality for the nation. The Conference will build capacity, bridge knowledge gaps, and inspire innovative solutions for operators and stakeholders of voluntary sector in Nigeria. Come to learn from and be inspired by CEOs, innovators and thinkers, carefully handpicked from the third sector industry, to deliver a blend of impactful content that will dot the i’s, cross the t’s and refresh our approach to voluntary and community-based initiatives. The ONE-day event will feature Two Masterclasses, THREE keynotes, FOUR breakout sessions and over FIVE hundred industry delegates covering Not-for-profit Organizations, Social Enterprises, Think Tanks, Start-ups, Department of Social Work in Schools, Corporate Social Responsibility (CSR) Initiatives and other social-impact platforms from around Nigeria. 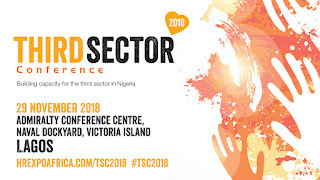 Registration for #TSC2018 is now live via the event website at www.hrexpoafrica.com/tsc2018/. 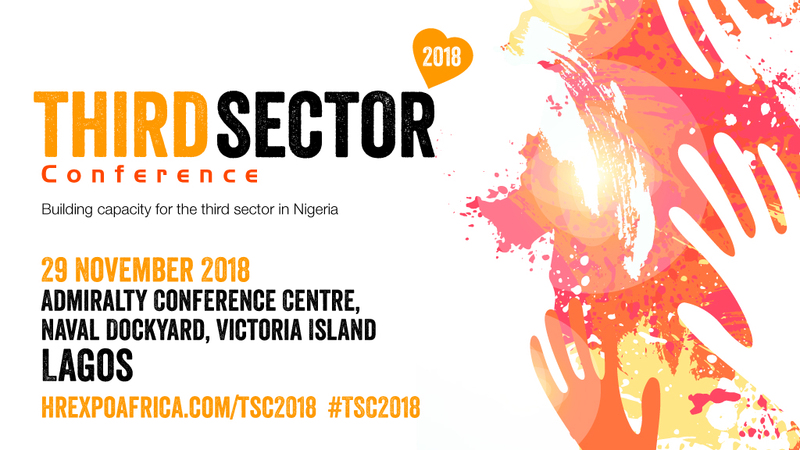 You can also join the conversation via social media with the hashtag #TSC2018 by following @hrexpoafrica on Twitter, Facebook and Instagram. In a nation flowing with talented human resources, there has never been a better time to harness the power of goodwill for national prosperity. #TSC2018 focuses on the issues most relevant to today’s voluntary sector, stimulating new thinking and inspiring action. For sponsorship and partnership, contact Lola on 07087144767 or oajayi@hrexpoafrica.com.